Not too long ago, analysts were predicting that Apple's stock would top $1,000. Now that Apple's stock has dropped more than 30% since last September, $500 is Apple's new proving ground. 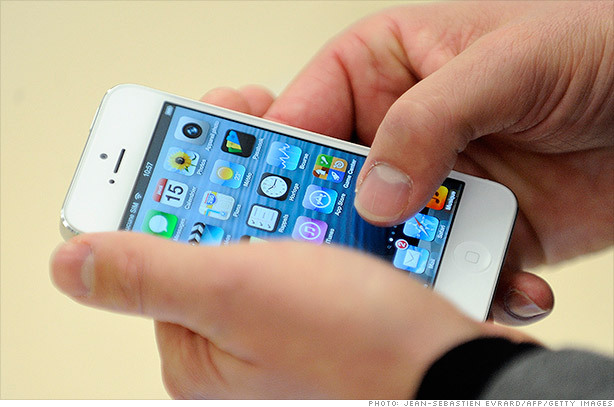 Apple's stock dipped below $500 on Tuesday on concerns that demand for the iPhone 5 might be less than expected. But Apple's stock once again crossed the $500 barrier on Wednesday, soaring by nearly 4.5%. There was no news from Apple to explain the rally. But one key stock watcher, Tom Demark of technical research firm Market Studies, called a bottom on the stock late Tuesday. Traders on StockTwits apparently were listening carefully. The founder of StockTwits, Howard Lindzon, found his own rationale for a bottom. You'd think that Apple's rally would be good for the broader stock market as well, right? But that wasn't the case Wednesday. The Nasdaq was up much more than the S&P 500. And the Dow was being dragged down by Boeing (BA). But that's just one day. For the longer haul, the entire market would probably benefit from a turnaround in Apple.